Last month, Jordan Brand made a lot of buzz with the release of new models along with retro and hybrid shoes, which were accepted positively in general. 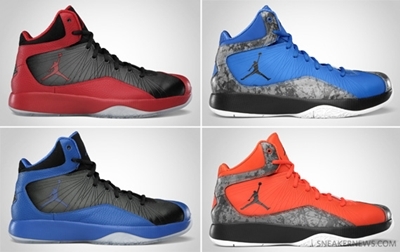 This November, Jordan Brand is one for another big hit with the release of four new colourways of the air Jordan 2011 Flight! This silhouette from Jordan Brand, which was a hit during the earlier releases, will be coming out in Team Orange/Anthracite – White, Black/Varsity Red, Stealth/White – Light Graphite, and Black/Metallic Silver – White colourways! Expect this model to come out anytime soon!